In November, I gave up social media, texting and personal emails for ONE WHOLE WEEK. Was it torture? Did I snap under pressure and tweet? How on earth does one keep in touch sans texting?!? 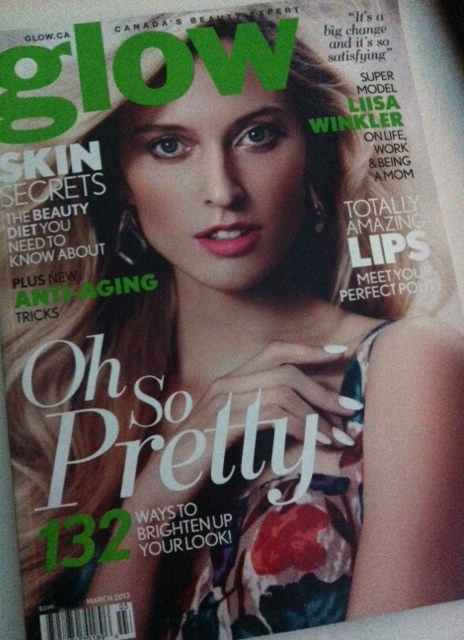 To find out how it went and what I learned about FOMO, you’ll just have to pick up the March 2013 issue of Glow! I don’t have a cell phone so that would not be a prob for me. With emails I get emails from work on my personal email acoount so that wouldn’t work for me :(. I haven’t watched tv since Buffy the Vampire Slayer was a tv series (But I do watch tons of dvds, and buy tons of tv series too lol)…My daughter is going to Australia for 15 days and they recommend the phones stay home (cus of roaming charges) so it will be interesting to see what these kids will be like after that long!!! I didn’t cut out TV for this detox. I actually could’ve done my digital detox when traveling, but I didn’t think that was a fair time to do it (since I’m usually already restricted with social media given that I’m relying on free wifi — I don’t care to incur roaming charges!). Good luck to your daughter in Australia sans cell phone/internet/social media! P.S. Buffy the Vampire Slayer is the best show ever. І’m reading through numerous your content for this subject website and i conceive this internet site is really informative! Keep setting up.